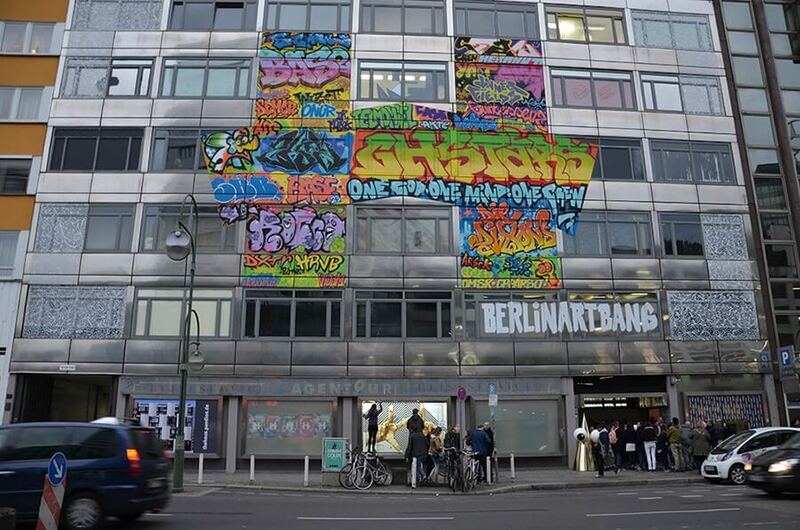 The temporary Street and Urban Art exhibition „The Haus – Berlin Art Bang“ opened their doors in April 2017. 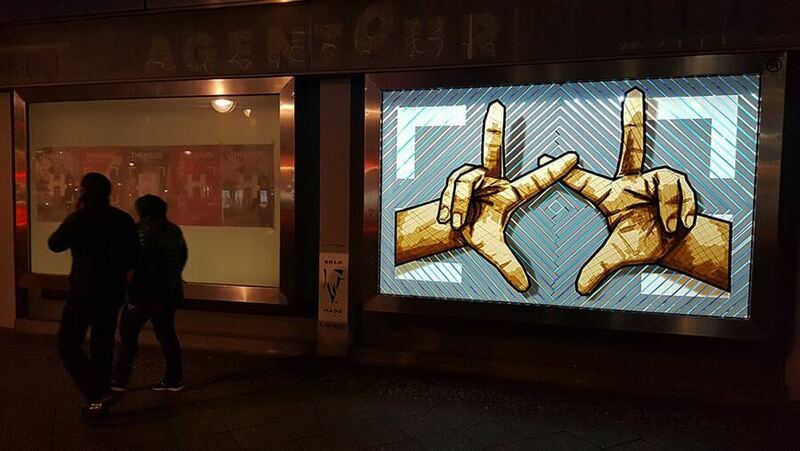 The gallery near the famous shopping street Kurfürstendamm shows works of over 100 artists in the field of Street Art, Urban Art and Sticky Tape Art. Our SELFMADE works can be seen inside and outside the gallery to summer this year until the building will be torn down. If you are hoping to avoid the huge line, that reaches the next street and hope to see the works somewhere online, I have to disappoint you guys. 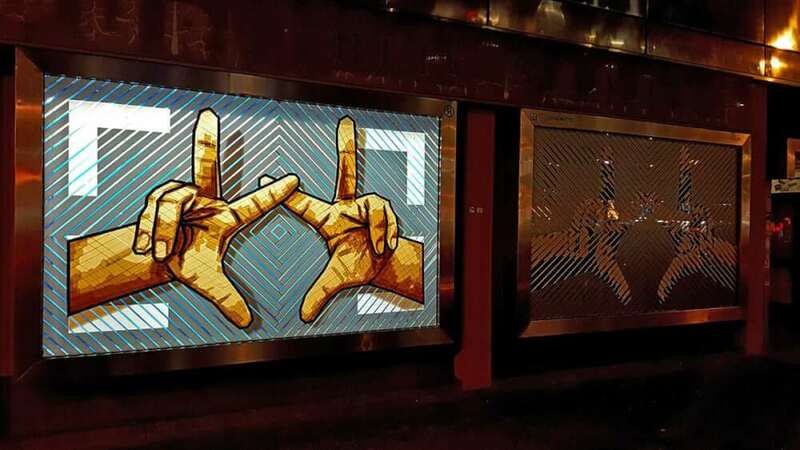 The Urban Artworks can be seen only on-site because taking pictures is forbidden. That keeps the Urban Art exhibition pretty exclusive. 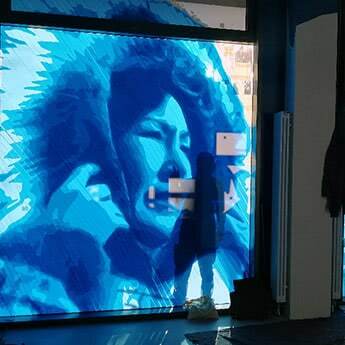 So visit the gallery and marvel at the great Street Art on walls, floors, ceilings, windows and even bathrooms! 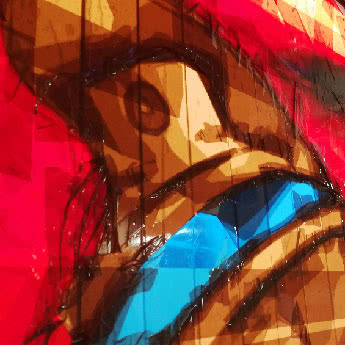 Mural Art is no longer the old-fashioned kind of art like it used to be. By now you call commissioned art work for beautifying walls on the street murals. 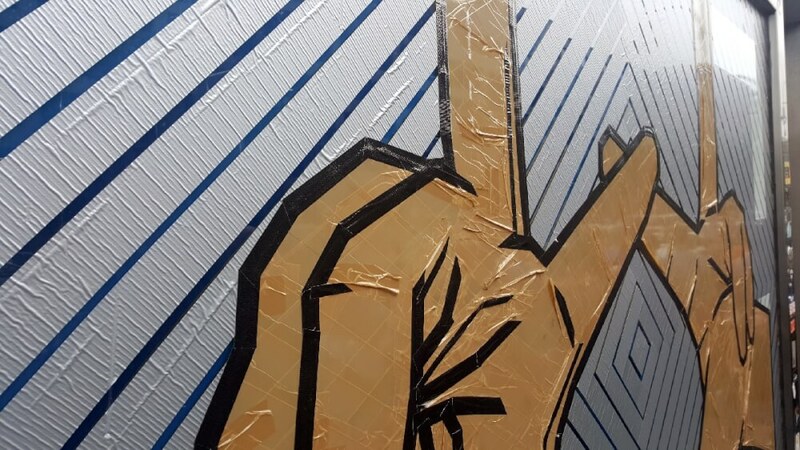 A part of the windows on the ground-floor of the gallery is covered in our newest Tape Street Art. It’s made out of only brown packing tape, silver gaffer tape and black thin sticky tape. We implemented our work in only one day. 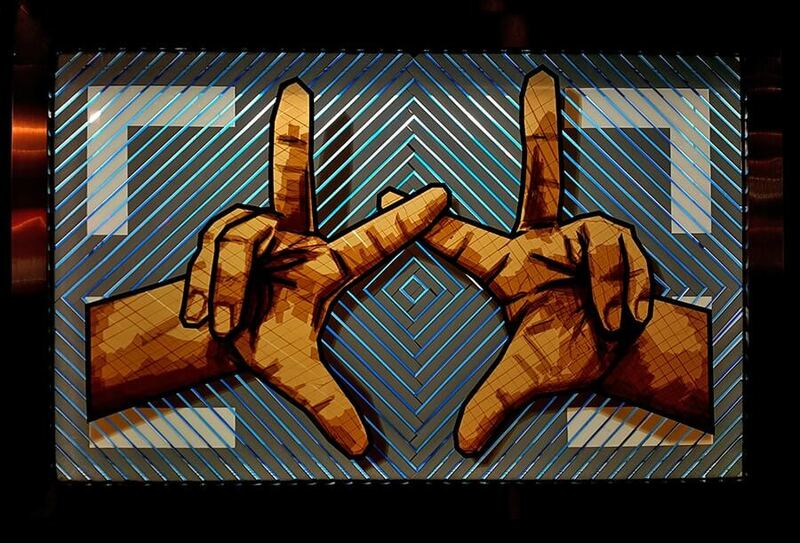 The motive shows two hands forming the logo of the gallery, which is an “H” of “The Haus“. The front facade gives you already a pre-taste of what you can find inside. Except for our pieces, you will see a bunch of great artist’s works spread all over the building. 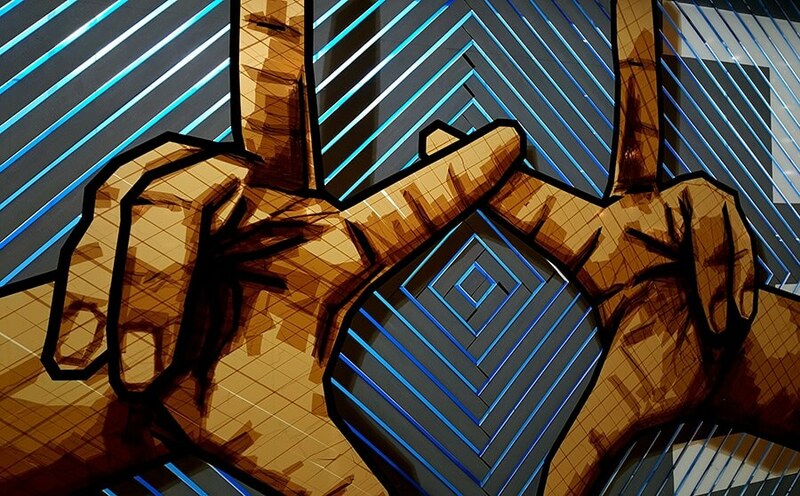 OSTAP & SELFMADECREW are right in the middle of it with our sticky tape. 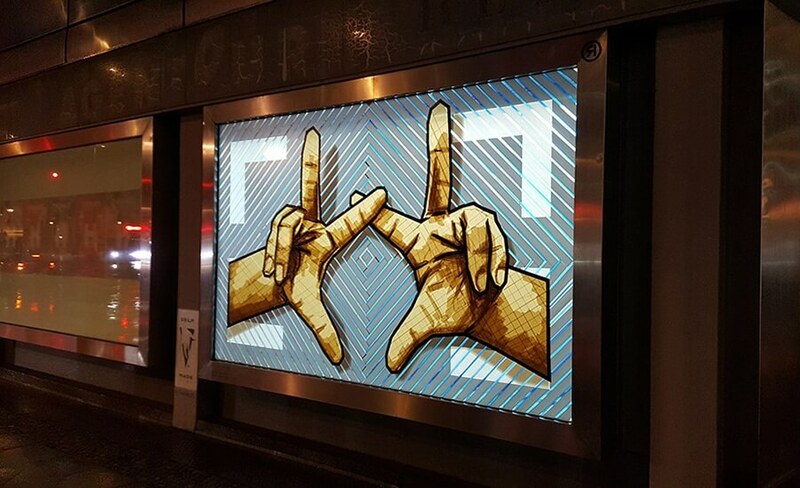 We love constructing our Tape Street Art in this great environment and being surrounded by wonderful people. Come and visit as long as you can!